COUNT ON THEM: These census workers have stories to tell. Counting the millions of New Yorkers who call the city their home is not easy – just ask workers who helped with 2010 Census. Summing up numbers is not the only mission they faced. Between debating the value of the census with government-wary skeptics and helping non-English speakers fill out census forms with an interpreter, these workers jumped through numerous hoops to do their jobs efficiently. Now, with the final numbers in, they have some stories to tell. The tales paint a picture of the way New Yorkers think, act or react to the process, and how the census workers reacted to those they counted. 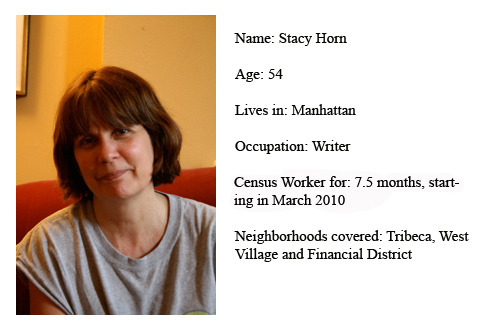 Stacy Horn, 54, a former census worker, spent her days calling job applicants with the happy news that they were hired. 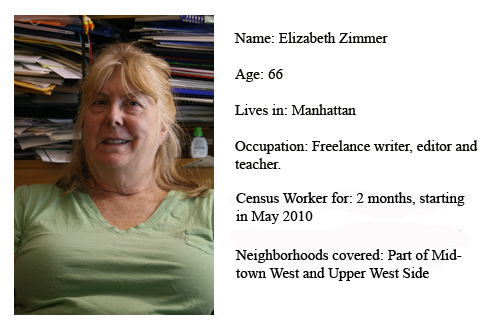 Elizabeth Zimmer, 66, had less positive things to say about her two months with the census. She said she worried about being denied access to certain buildings she was assigned to check out – something that has prevented other census workers from getting an accurate count of people within the buildings. 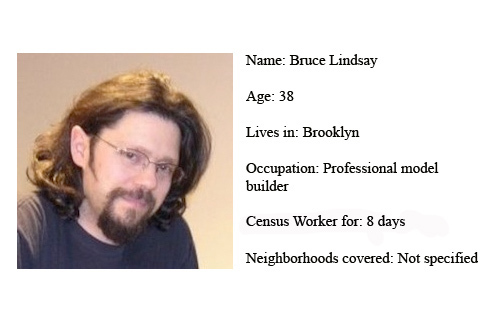 Many of these stories, however, have stayed under the radar partly because census workers are prohibited from disclosing too many details of their work to the public. All workers sign a confidentiality agreement, meaning they cannot legally speak about people’s personal information, or what happens behind the scenes at the U.S. Census Bureau. 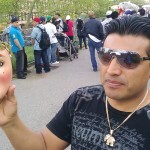 This has discouraged some workers from sharing their interactions with New Yorkers. 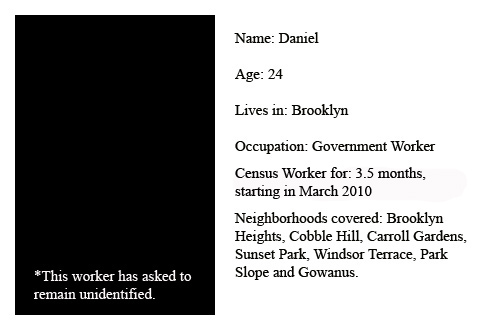 But one 24-year-old census worker, Daniel, decided he’d share his stories providing his full name was not used. However, his experience working for the census was very positive overall. 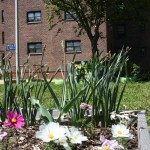 “There were a number of really great opportunities for interpersonal connections,” he said. 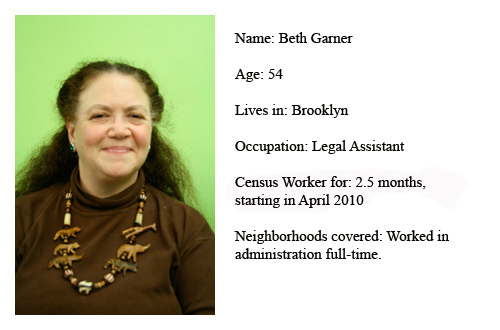 The six census workers below each share a snapshot of their own experiences. Click on each sound clip to hear their stories.